Living in the country’s capital affords home owners a truly unique and vibrant experience in a metropolitan area that is unlike most others throughout the nation. Washington, DC is a cosmopolitan city that provides a myriad of choices for work, recreation and lifestyles, making it an extremely desirable place to live. In addition to being a bustling metropolis, the city’s storied history as the nation’s capital and its status as a place where important things occurred is an aspect that runs deep in the psyche of those who live there. 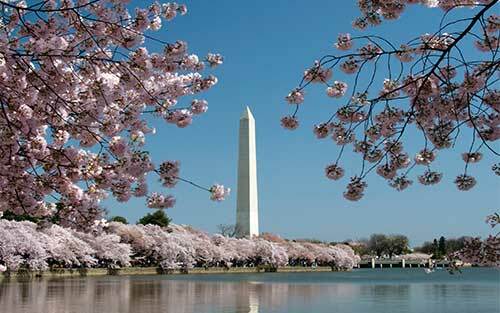 The pride and beauty of a great nation is evident throughout Washington, DC’s various monuments and even in its neighborhoods, which can offer residents a wide range of experiences. The cosmopolitan, urban aspect of Washington, DC is highlighted by its various neighborhoods. Ranging from the hip to the historic, the many neighborhoods around the city can provide an endless amount of interesting sites, sounds and establishments to explore. The city is divided into four quadrants with the U.S. Capitol at the center of the city. Throughout these quadrants the flavor of life from neighborhood varies greatly, only adding to the energy that abounds here. Among Washington, DC’s most trendy neighborhoods is Adams Morgan, an eclectic stretch that offers popular nightlife, shopping and dining destinations. 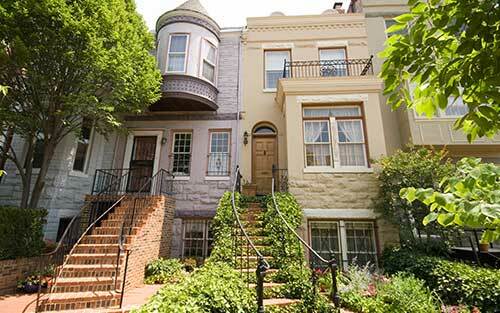 Some other popular neighborhoods include Dupont Circle, Chinatown, Foggy Bottom, Georgetown and Capitol Hill, all of which offer their own unique lifestyle . With such a blended mix, residents of Washington, DC are never limited in wonderful places to explore and new experiences to be had. Car traffic in Washington, DC can sometimes be a bit challenging, however the city makes up for it with an extensive public transportation system. The city’s Metrorail is one of the most intricately connected train networks in the country with six rail lines and well over 100 stops connecting downtown DC with surrounding suburbs. Other forms of transportation around the city include the Metrobus system and streetcars. If you’re interested in exploring Washington, DC on foot, the city is extremely walkable. According to Walkscore, the city has a walkscore of 74 and is the seventh most walkable large city in the U.S. The city is also embracing bicycling as a way to get around as well with its increasing number of dedicated bike lanes and Capital Bikeshare program. Being located along the Eastern Seaboard, Washington, DC is almost perfectly centrally located. This means that a wide range of weekend getaways to nearby Baltimore, Annapolis, Philadelphia and New York are just a few hours’ drive away. For those looking for a little bit more worldly travel, DC also has access to three major airports: Washington National Airport, Dulles International Airport and Baltimore-Washington International Airport. The city’s positioning in the mid-Atlantic region also affords it rather mild weather patterns. The region does experience four magnificent seasons throughout the year. The beauty of the transitions from season to season are something that area residents look forward to witnessing. New Listings in Washington, D.C.